Choosing the right fireplace for your space. Custom gas fireplace popularity has grown substantially over the past 10 years, in both residential and commercial spaces. 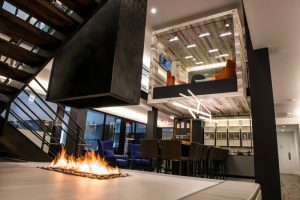 The innovations and improvements to fireplaces in general over the past decade have made them even more versatile and safe; but can leave you wondering which one is best for your space: gas vs wood fireplace? So how do you know if a gas fireplace or a wood burning fireplace is better suited for your needs? Let’s review some details that can help guide your decision. Stage 1: The Start Up Stage. Unfortunately you can’t just throw a pile of wood in your fireplace and toss in a match to create a roaring fire…that would be nice wouldn’t it? The start up stage involves preparing and warming your fireplace and flue and creating a draw to start the combustion air pull. We recommend using dry kindling and a fire starter to warm up the fireplace and flue; a common misconception is to use newspaper as kindling, this is a no-no! Burning newspaper can cause an increase in creosote build up in your flue system according to many chimney sweeps, and over time could lead to a chimney fire. Only use Dry, Seasoned Wood. The key to a optimal fire is using the right kind of wood; you should never use wet (green) wood when starting a fire, to burn with the most heat and produce the least amount of creosote the wood should be allowed to season (dry out). Softer woods like fir or pine need to season for over a year whereas hardwoods like hickory and oak take much longer. 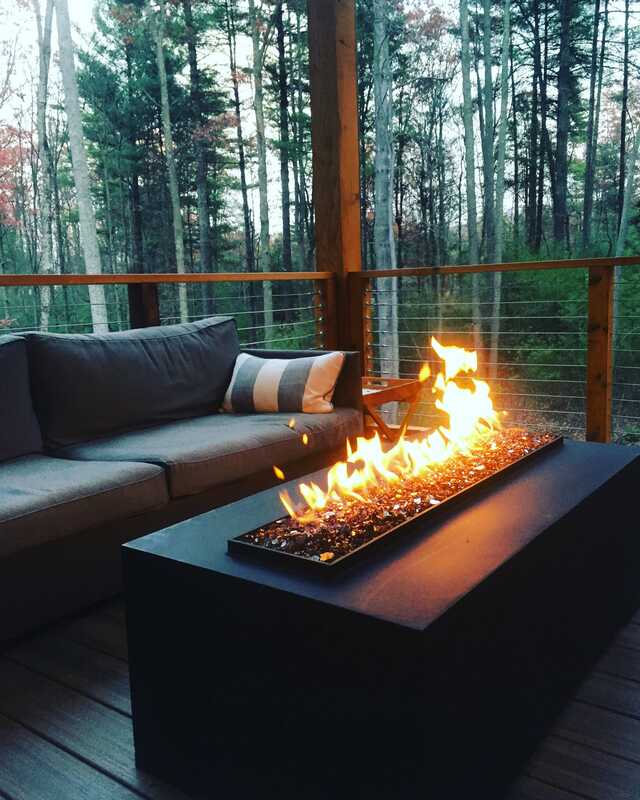 Seasoned softwoods will catch fire quickly and burn very hot and fast producing minimal creosote; hardwoods are much heavier and dense which can be harder to get burning but will end up burning low and long once they catch. Stage 2: Creosote Stage. Once you have warmed your fireplace and flue, add your dry wood on top of the burning kindling. You always want to ensure the smoke and heat are flowing up and out the flue. During this phase the wood temperature will rise evaporating all the moisture from the wood when it reaches 100-141 degrees Fahrenheit. You’ll tend to notice a hissing sound coming from the burning wood and a slight bubbling along the ends; keep your damper and combustion controls open all the way during this stage until the wood is burning cleanly without gray smoke. Stage 3: Heating Stage. This stage begins once the moisture has been removed from your wood and your combustion controls are dialed in creating the perfect pull through your chimney system. At this point the flames become much slower moving and tend to be more orange in color proving maximum heat output and minimal creosote production; this stage can be maintained for 6-10 hours between loads of wood (depending on type of wood and fireplace being used). Stage 4: Die Down Stage. Properly letting your fire die down is incredibly important. The best way to let your fire go out in your fireplace is to fully open your damper; your flue will begin cooling down as cold air is pulled through the top, once the cold air meets the slow moving smoke creosote will occur, allowing your fire to properly put itself out. Now that you’re an expert at wood burning, lets talk about size. Bigger isn’t always better when it comes to wood burning fireplaces; finding the right unit for you is what our Fireplace Advisors do best. 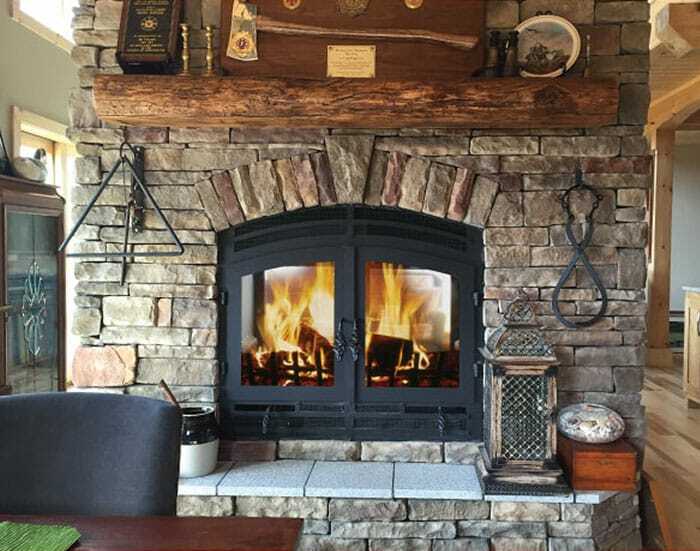 Whether you’re looking for something more aesthetically pleasing like our rustic Hearthroom Series or a modern feel with our Unity Series, or maybe you are more interested in having a fireplace for supplemental heat, like our Zmax; no matter the project our Fireplace Advisors will help find the right solution for you! Click here for more information. Our Hearthroom series of wood-burning fireplaces were designed with a large viewing area while still proving to be an excellent supplemental heat source. The Hearthroom fireplaces use outside air for combustion to provide an amazingly clean, efficient, and long-lasting burn. The Unity clean face wood burning fireplace series unifies the modern and rustic aesthetic with the benefits of a high-tech wood burning fireplace. The minimal design and clean face of the Unity series makes it the perfect fit for just about any space! Our High-Tech wood burning fireplaces are perfect for cool climates and are the ideal solution for Whole Home Heating or supplemental heat. Providing 125,000-150,000 BTUs/Hr, the capacity to heat up to 4,000 sq ft and a burn time of up to 10 hours! If you love the ease of flipping a switch and enjoying your fireplace without much work or maintenance then a custom gas fireplace is the perfect fit for you! The design options are endless and our Fireplace Designers work one-on-one with you to make your dream fireplace a reality. Let’s review some of the options for designing your fireplace. Phase 1: Selecting Your Style. Choose from popular options like four-sided, linear with front right or left view, linear with front and side views, peninsula, see-through, circular, single-sided, indoor/outdoor, or custom design a creation all your own. Phase 2: Selecting Your Burner. From linear line of fire, logsets, square, circular, step, or anything in between. 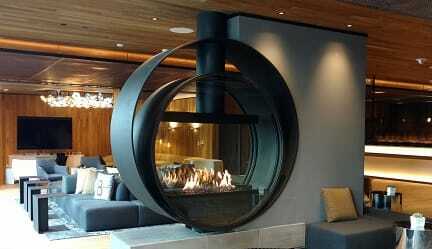 We’ll custom design and manufacture the burner that is perfect for your style fireplace. Phase 3: Selecting Your Frame. 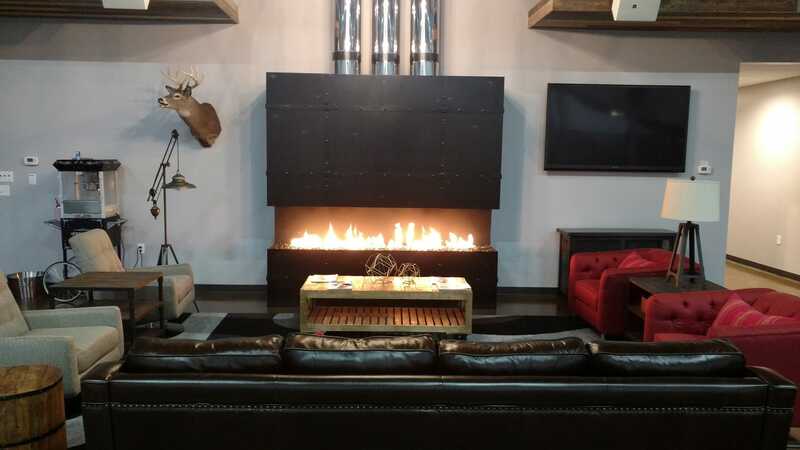 Most of our custom gas fireplaces are finished with a standard black matte finish, but we offer additional finishes like: patina, custom paint, hammered, stainless steel with a mirror finish, brushed stainless steel, or even a hidden frame. Phase 4: Selecting Your Glass. 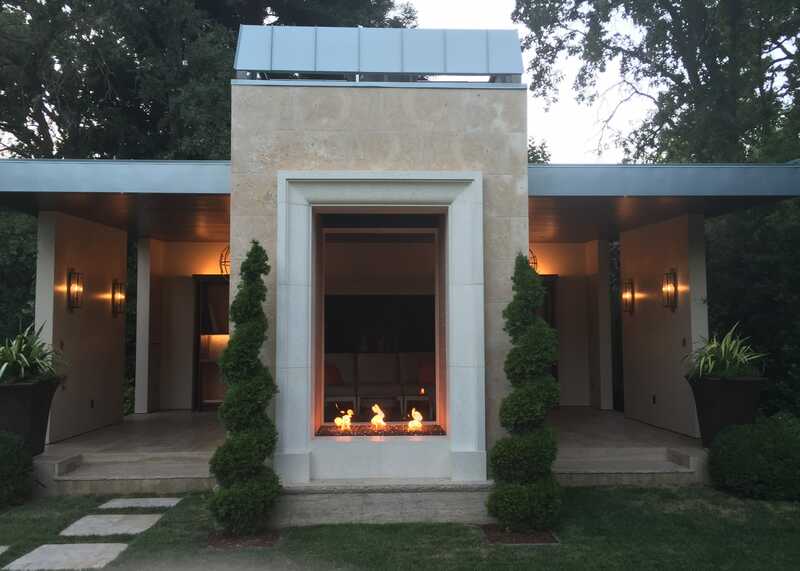 For most commercial settings our Dual Pane Glass Cooling system is required for safety reasons; but if you’re not worried about someone touching the fireplace you can choose open (no glass), partial glass, single-pane, custom firescreen or our Air Shield system. Phase 5: Selecting Your Finishing Options. 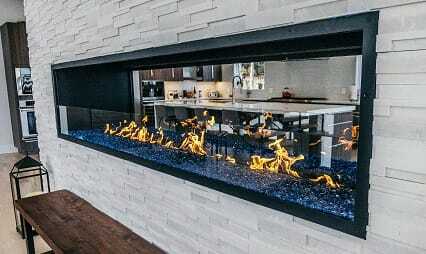 The options for customizing your gas fireplace are abundant; choose from an array of glass media options in various colors and sizes, river rock, lava rock, polished stones, or a combination of media. Want to make the most of your fireplace flame? 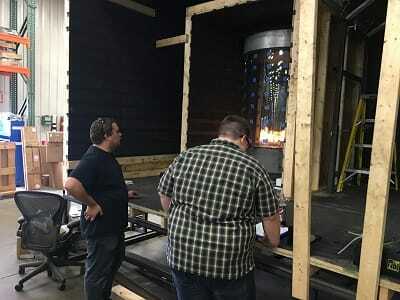 Our custom black reflective high temperature glass panels reflect the flame perfectly creating an even more impressive flame. Or maybe you want to finish the inside of your fireplace with tile, in that case we can add a mesh backer to any custom gas fireplace. Still want more? Control your fireplace with the click of a button by adding our remote controlled adjustable flame system allowing you a flame from 4″ to 12″, we’ll even add LED lighting if that tickles your fancy! Need a BIM or CAD model? Click here! 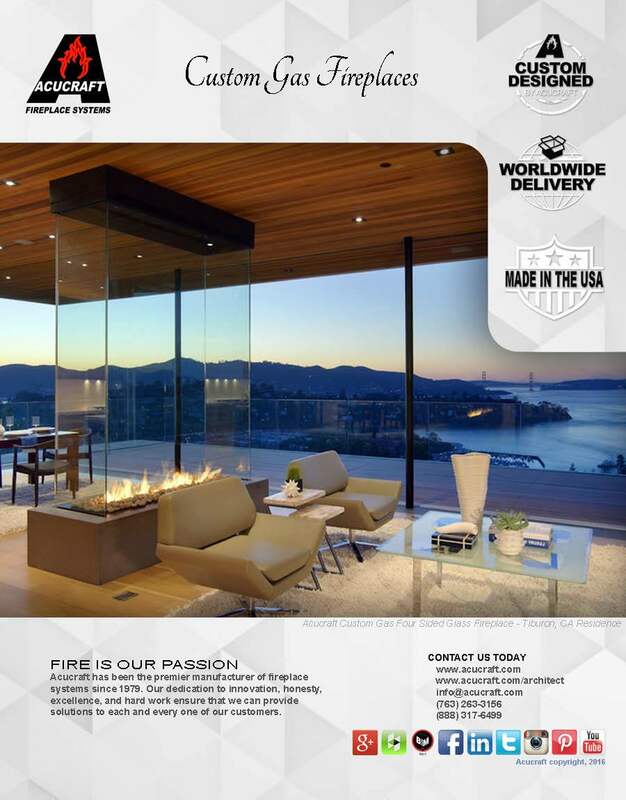 Introducing the New 2017 Custom Gas Fireplace Brochure! As the premier manufacturer of custom gas fireplaces, it is our goal to provide you with the safest, highest quality product and exceptional customer service. Our fireplace advisors & designers are dedicated to making your dream fireplace a reality! Acucraft is the only custom fireplace manufacturer in the world with the ability to third party test and label every custom gas fireplace for our customers. Every custom gas fireplace receives an Acucraft Factory Test before leaving our facility…our Third Party Certification Test provides you with a label and full listing for your fireplace…and our Special Acceptance Field Test verifies the fireplace and all components relative to your specific installation requirements. One of the most recent Third Party Certification Tests we completed was for the Google’s new “Pearl Place” campus spanning 4-acres and will be the future home of up to 1,500 employees! One of our Fireplace Advisors, Mike, worked closely with Swinerton Builders to find a perfect fire feature for their Sunken Lounge. 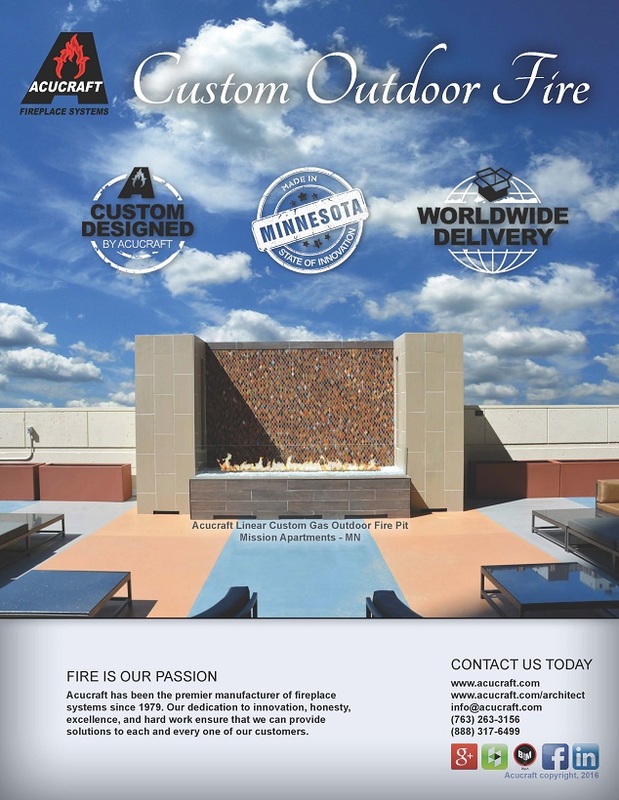 Learn more about Acucraft’s Fireplace Certification by requesting a copy of our new Custom Gas Fireplace Brochure and talking with one of our knowledgable Fireplace Advisors.